The new smartphone from Samsung is expected to be presented in March. One interesting thing is that the phone will have a curved screen. 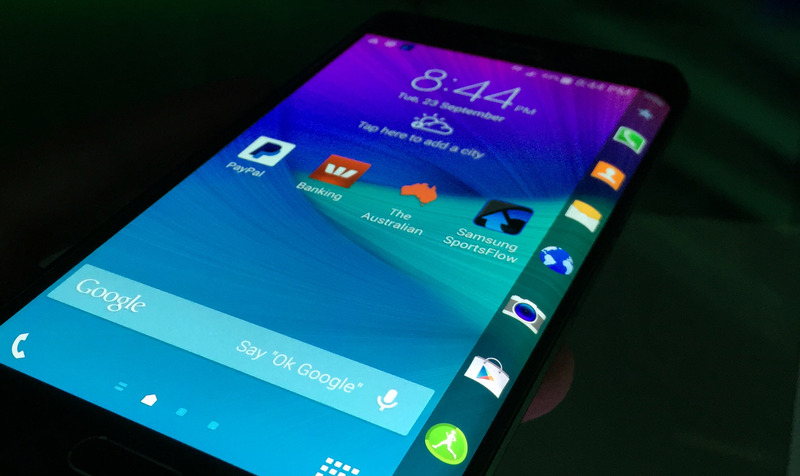 Samsung is using this technology on the Note Edge, but it only bends around one corner. The new Galaxy S6 is expected to have screens on both the left and right sides of the phone, which means screens on three out of four sides. Two versions of the Galaxy S6 will be released, one with the curved screen. They will have metal bodies, 5.1 inch screens and a 20 megapixel camera. Samsung will have an event at the Mobile World Congress in Barcelona, scheduled for March 1, where the phone is expected to be presented. Samsung’s new flagship smart phone, the Galaxy S6, is expected to get a curved screen, which will cover three of the phones’ four sides. The company already have a curved screen on the Galaxy Note Edge, but that one is just bending around one – the right – corner. Samsung is expected to unveil two versions of the phone, one with the curved screen, at the Mobile World Congress in Barcelona, which takes place March 1. Both versions will have metal bodies and 5.1 inch screens. They are also expected to get 50% faster CPU and a 20 megapixel camera.